What are some of the things that you need to know about filling your mini skip bin? Renting out skip bins in Adelaide can be extremely useful for anyone who is dealing with significant amounts of rubbish for any reason - spring clean up, garage cleaning, home renovations, etc. That said, you do have to know a few things about using one. 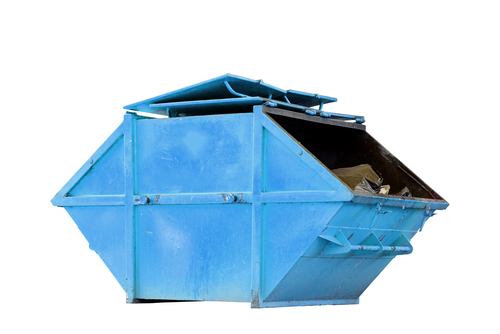 Now you might think that there's not much to think about when it comes to skip bin hire services; simply fill it up with anything you're looking to throw out and you're good to go. However that's certainly not the case; read on to learn more about filling your mini skip bins properly and any restrictions that you need to be mindful about. Indeed there are a few rules that generally apply when filling your mini skip bin with all the rubbish that you're looking to throw out. For one thing, you need to consider the fact that the said bin is going to be transported by road. That means you can only fill it until a certain point with none of the rubbish protruding from the top. While it might be tempting to seek out the cheapest skip bins that you can find with the intention of overloading it later, doing so can be dangerous and your bin hire company reserves the right to refuse collection until your rectify the situation. You'd also want to make sure that you load the bin properly with lighter items on top and heavy rubbish at the bottom. Apart from loading your bin properly, you also need to respect the fact that you can't just put anything you want inside the bin. 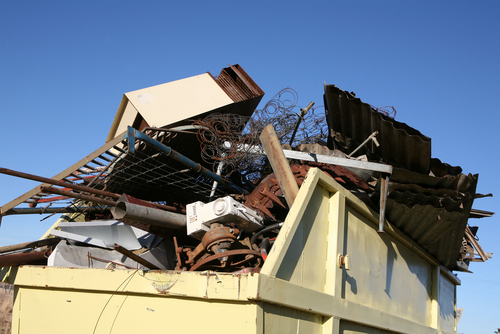 The type of rubbish that you're allowed to put inside skip bins in Adelaide are generally limited to general household waste, garden refuse and builders rubbish (bricks, wood and concrete). Potentially hazardous materials such as asbestos, wet paint, thinners and worn out tires are generally not allowed. You can contact your city council for help in properly disposing of such materials. Would you like to learn more? Perhaps you're looking to get started with a bin hire of your own? Contact Bins Adelaide today on 0426 570 035 and check out some of the best deals when it comes to renting out skip bins in Adelaide! What can bin hire services do for you? Are you thinking about renting out a mini bin to help with waste management in Adelaide? What are some of the things that you can rightfully expect out of such services and is it really well worth it? People who are yet to experience dealing with bin hire services are often quick to dismiss it as totally unnecessary but you've got to wonder; is that really the case? Now when you're dealing with a bin hire services, you are basically renting out a large industrial-sized metallic container to store rubbish. You can think of it as an oversized metallic trash bin but you'd be wrong to think that there is all there is to it. People struggle with their waste management needs simply because they end up producing more rubbish than they can normally handle as is often the case when doing some spring cleaning or the occasional home renovation and remodelling project. Of course you can always leave your rubbish to accumulate in a corner but is that hardly ever wise? Cluttered work spaces multiply the risk of accidents and attract the presence of pests; many of which can cause property damage and are known carriers of diseases (rats, cockroaches, termites, etc). So the question remains - how do bin hire services aid proper waste management in Adelaide? Well apart from providing ample storage for all the rubbish that you're looking to throw out, a bin hire company also assist with collection and proper waste disposal. You need only concern yourself with filling up the bin that you're renting out up to its maximum capacity and haul away everything when you're done so you don't have to worry about a thing. Bin hire services then route the rubbish that they've collected to the nearest waste management facilities in the country for sorting and recycling to ensure that everything ends up where it should with no adverse effects to the environment. Convinced with the merits of bin hire services in your waste management needs? Call Bins Adelaide today on 0426 570 035 and get all the help you need with proper waste management in Adelaide! Need help with your rubbish removal? Are you looking to hire a skip bin at Sellicks Beach but not quite sure if its well worth looking into? What is the point of renting out a large metallic container for all your rubbish? It might seem like an unnecessary cost that is until you're dealing with significant amounts of household refuse; a lot more than your regular trash bin can handle. That's where renting out so called mini skips actually comes in. What do you need to know about hiring a skip bin at Sellicks Beach? Indeed waste management can be a daunting task especially when you're in the middle of domestic projects such as home renovations or even during the occasional spring cleaning. Rubbish can pile up quickly and you can find yourself overwhelmed if you don't have a good systems in place for rubbish removal. A bin hire company can offer you just that by providing a large open top metallic container for your exclusive and personal use. These industrial containers are not unlike the ones you'll find in construction sites and commercial establishments providing you with all storage you need for all the rubbish that you're looking to thrown away instead of leaving it to pile up for days or even weeks at a time. Now you might think that hiring a skip bin at Sellicks Beach is more trouble than its worth but nothing could be simpler. All you have to do is call up your chosen bin hire company and discuss the details such as where you'll be needing the bin and how long you'll be needing it for. Such services already include a truck hire so you can expect your bin to be delivered on the spot (provided you've got enough space for it) and hauled away afterwards. There's nothing else you have to do other than fill the bin up to its maximum capacity. 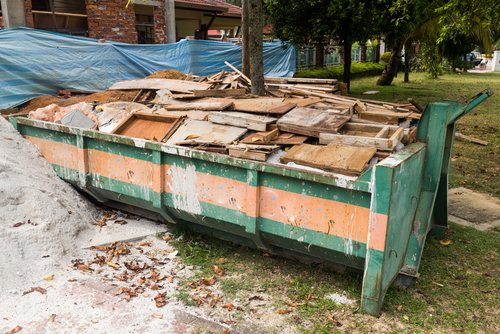 Of course there are a few things that you'd want to consider when renting out a skip bin. 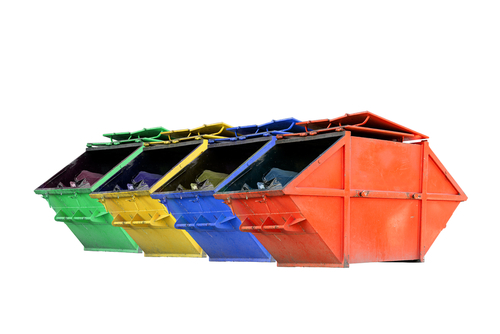 For one thing, skip bins are available in different sizes and you need to make sure that you choose the one that best suits your needs. Smaller 2 cubic metre skip bins are ideal for residential use and can carry up to 2.5 tonnes of general waste and builders rubbish. Looking to get started with a bin hire of your own? Call Bins Adelaide today on 0426 570 035 and check out our great deals for renting out a skip bin at Sellicks Beach! Are you thinking of hiring skip bins in Sellicks Beach? What are some of the things that you need to know about bin hire services? If you've never had to do hire a skip bin in the past then these are the things that you've probably been wondering about. Now doing a skip bin hire isn't at all uncommon and its an invaluable service highly sought after by people who are at odds with their waste management needs. Whether you're tackling an extensive renovation project, minor or home repairs or perhaps the occasional spring cleaning, you can expect rubbish removal & skip bins to provide you with a reliable system for removing waste products in and around your home. Gone were the days when you had no choice but to leave significant amounts of rubbish to pile up in a corner which can be hazardous to eveyone's health and safety. Renting a skip bin means you'll have access to a large metallic container big enough to store all your rubbish and have someone promptly collect and dispose of it afterwards. How convenient is that? Keep in mind that you're renting out large metallic bin containers that weigh several tons at least so plan ahead and designate a specific spot where you actually need it. Having to move it somewhere else afterwards is usually out of the question. You can expect most bin hire companies to accommodate your request as best they can so long as you've got ample space for it. If not then you do have the option to set your bin by the roadside although you'll need to apply for a special permit from your regional council in order to do so. 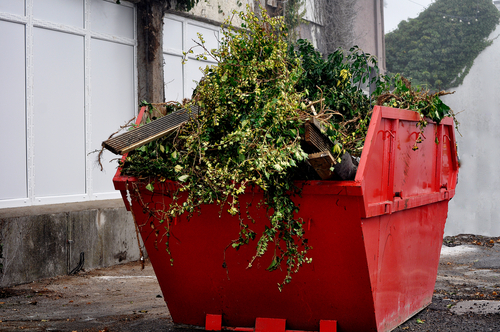 Perhaps the most important factor that you need to consider is the size of the skip bin that you're renting out. These bins are available in different sizes from relatively small 2 cubic metre bins to its much larger counterparts (up to a 9 metre cubic bin). Granted, you'll probably won't need anything that large but make sure that you don't opt for a smaller sized bin with the intention of cramming in everything just to save on cost. Overloaded bins are not safe to transport and your bin hire company will likely refuse collection of the bin unless you properly load it up to its maximum rated capacity. What will you put in the bin? Yet another factor that you'll need to consider are the contents of your bin. What most people don't know about hiring skip bins in Sellicks Beach is that you can't just load it up with anything you want. Potentially hazardous items are not allowed such as batteries, excess paint, asbestos and other harmful chemicals. Make sure that you thoroughly discuss your usage requirements with your bin hire company and they may yet provide you with a specialised bin designed to store hazardous waste products. Looking for some of the most reputable bin hire companies in the country? Well you certainly need not look any further! Contact Bins Adelaide today on 0426 570 035 and discuss your needs with proven service provider when it comes to renting skip bins at Sellicks Beach! Are you wondering about skip bin prices and what you can actually expect out of it? How much does a skip bin cost? These are all perfectly good questions especially when you've never had to deal with bin hire services in the past. Perhaps you're looking to some spring-cleaning in the house? Gardening or in the middle of extensive home repairs or some renovations perhaps? Whatever the case, a skip bin can certainly prove helpful when it comes to managing your waste properly and conveniently. Still the question remains - how much is it going to cost you? So how much does a skip bin cost? The short answer would be - it depends. If you're looking to buy one then you'll find that these large industrial-sized metallic containers are expensive and can easily cost thousands of dollars not to mention the additional equipment that you'll need to haul it away yourself. For most people, it makes better sense albeit economically to rent out a skip bin especially when your need for it is only temporary. Rental prices for skip bins in Adelaide generally depends on the size of the bin. Here at Bins Adelaide, prices start at $130 for a 2 cubic metre skip bin up to $365 for a 9 cubic metre bin. A 2 cubic metre bin is more than enough for the occasional clean up around the house (up to 2.5 tonnes of general waste) while its much larger 9 cubic metre counterpart is often deployed in construction sites and renovation works. Whatever the extent of your waste management needs, you'd want to do a thorough comparison of skip bin prices if only to ensure that you choose the right one. Know that you can't rent out a small skip bin with the intention of overloading it and cramming in more rubbish that it can properly hold. It only makes the bin unsafe for transport and your bin hire company reserves the right to refuse collection outright until you sort out the excess. Ready to get started with one of the finest and most reputable bin hire companies in Adelaide? You can expect nothing less out of Bins Adelaide! Call us today on 0426 570 035 and inquire about our skip bin prices.